Who Is the Northeast Georgia Mountains Travel Association (NEGMTA)? The Northeast Georgia Mountains Travel Association is comprised of 17 counties located north of Atlanta in the Northeast Georgia Mountains. The area offers diverse Appalachian heritage and culture, incredible scenic beauty, and plenty of outdoor recreation, interesting sights, delightful dining and comfortable lodging. 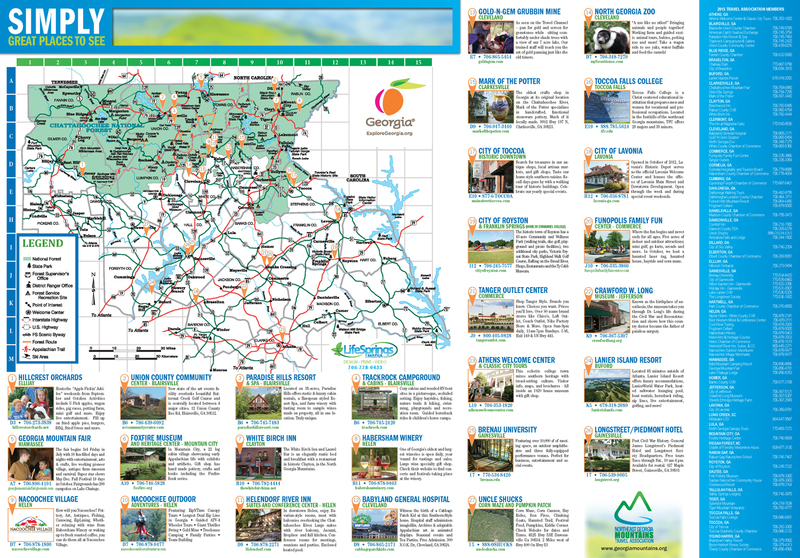 This website and the NEGMTA is YOUR one-stop resource for all your Northeast Georgia Mountain travel information, inquiries and updates. Please take a look around the website to discover all this area has to offer. Also feel free to contact us to request more information about Things to Do, Places to Go, and Where to Stay! Don’t forget to “Like” our page on Facebook, follow us on Twitter and then share your visit with your friends!